Matica and Yunify have developed a new product, a spray mist that captures cannabis odours through Yunify’s Natural Ions Encapsulation technology; cannabis smoke odours are trapped and they are neutralized. 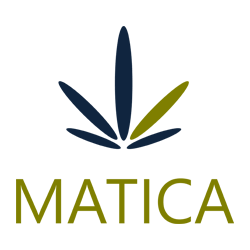 Matica Enterprises Inc. has assembled a top-notch technical team to complement the proven executive talent of the company’s founders. Management can be contacted and further information can be requested by emailing info@maticaenterprises.com.